Both sexes fully winged. Body brown, tarsi yellow, mid and hind tibiae yellow at base and apex; antennal segment III mainly yellow, IV–VI yellow in basal half but brown distally; fore wings pale with weak shading medially. Head reticulate, slightly broader across cheeks than across eyes; cheeks with prominent tubercles; eyes large; postocular setae capitate, posterior to mid-point of eye; maxillary stylets retracted to eyes, close together medially. Antennae 8-segmented; segment III with 3 sensoria, IV with 4 sensoria; VIII constricted to basal neck. Pronotum reticulate, weakly medially, with five pairs of capitate major setae; basantra absent. Fore tarsus with tooth. Metanotum reticulate. Fore wings parallel sided, with more than 30 duplicated cilia; sub-basal setae S3 finely acute, S1 & S2 capitate. 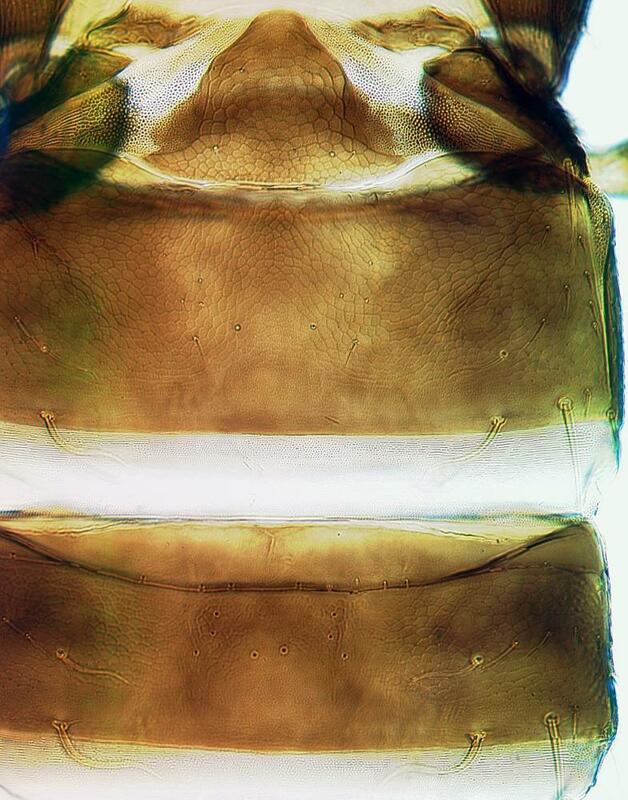 Pelta triangular with sinuate lateral margins, reticulate; tergites II–VII each with two pairs of slender sigmoid wing-retaining setae; tergite IX setae S1 shorter than half of tube length. 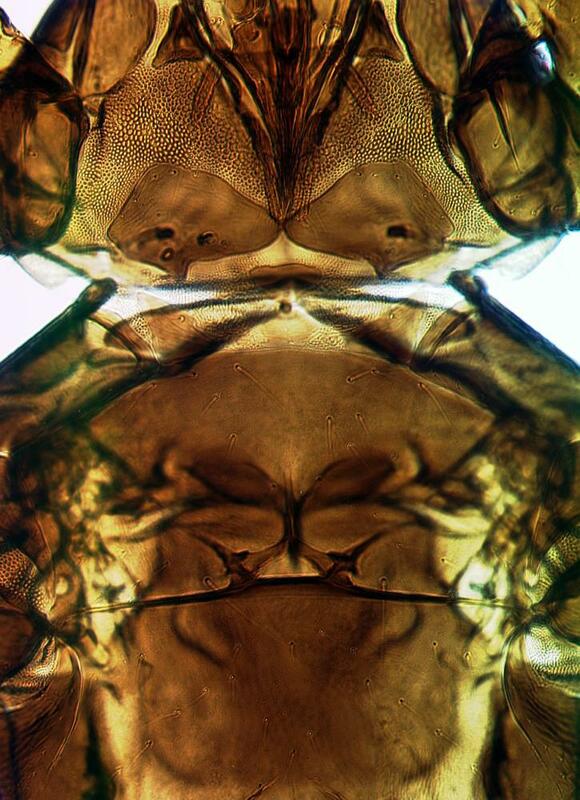 Male scarcely smaller than female; tergite IX setae S2 stout and blunt; sternite VIII without pore plate. More than 20 names are listed under the genus Phlaeothrips, but many of these are old names for which specimens are not known to exist. Only one member of the genus is known from North America, presumably introduced to California from Europe. 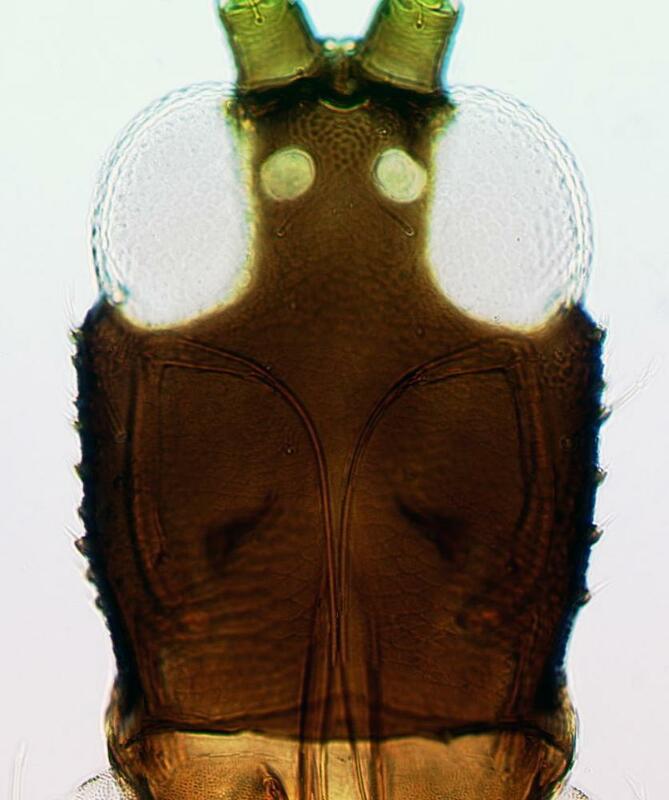 The listing of "Phlaeothrips karnyi " by Hoddle et al. 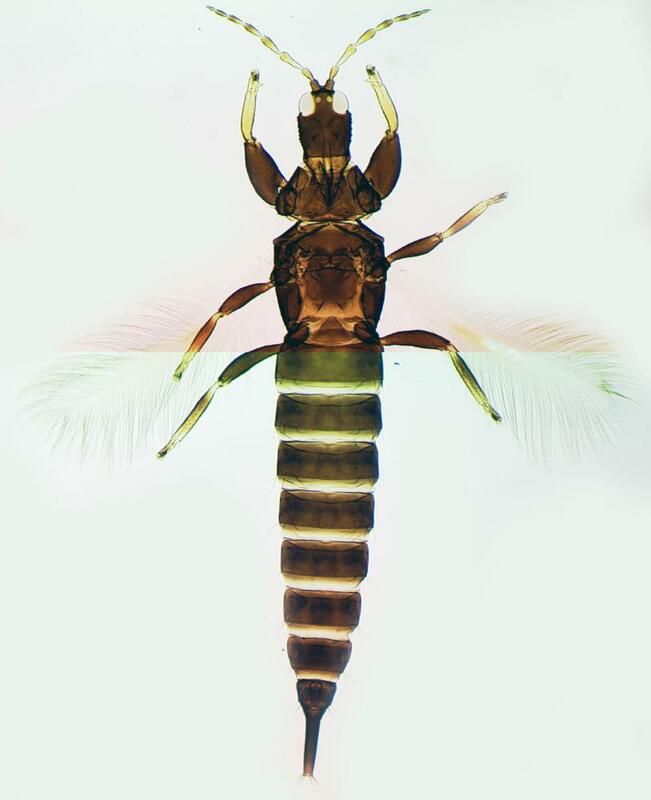 (2004) was an error; that species is here listed correctly in the genus Hoplothrips.